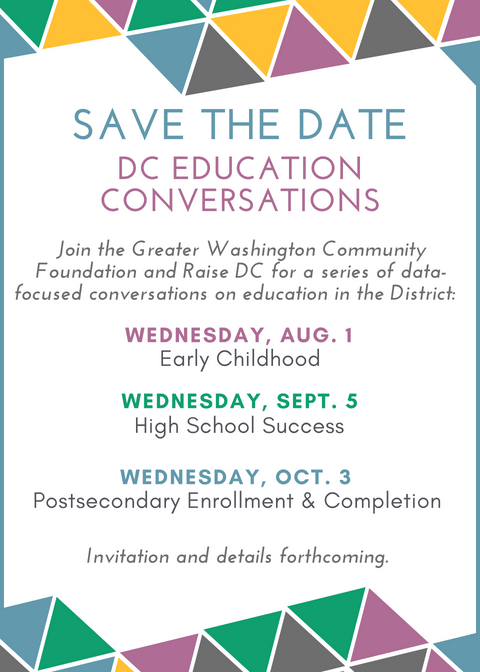 Are you interested in learning more about the education landscape in the District of Columbia? You’re invited to a breakfast conversation series featuring Raise DC, a collective impact initiative focused on using data to improve educational outcomes for DC's children and youth, from cradle to career. Initially launched in the Office of the DC Deputy Mayor for Education, Raise DC was incubated by The Community Foundation.